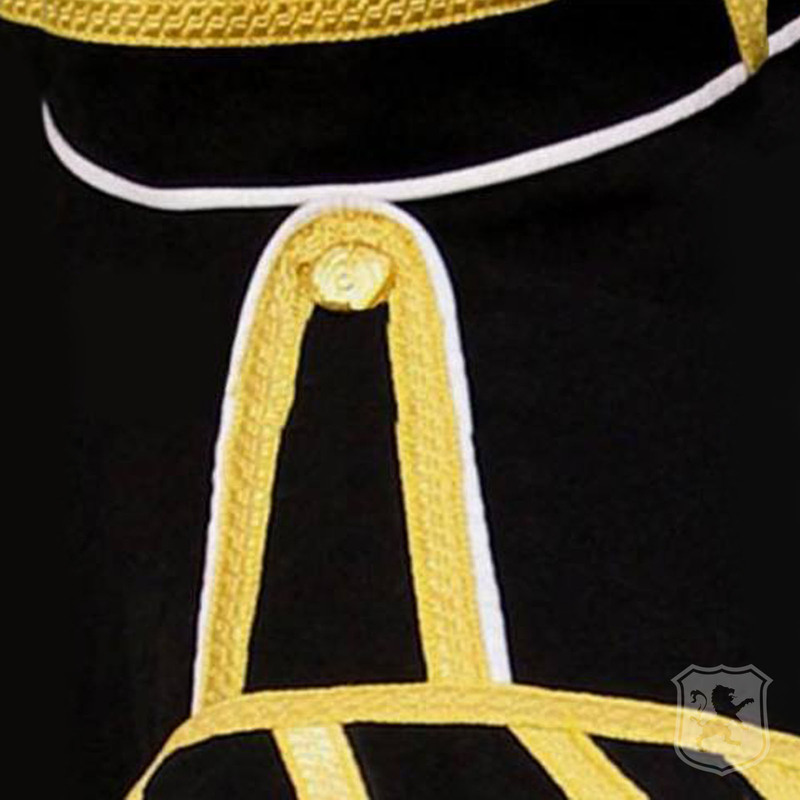 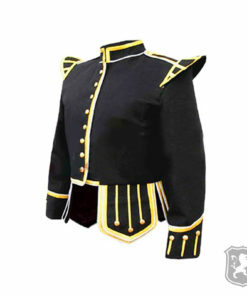 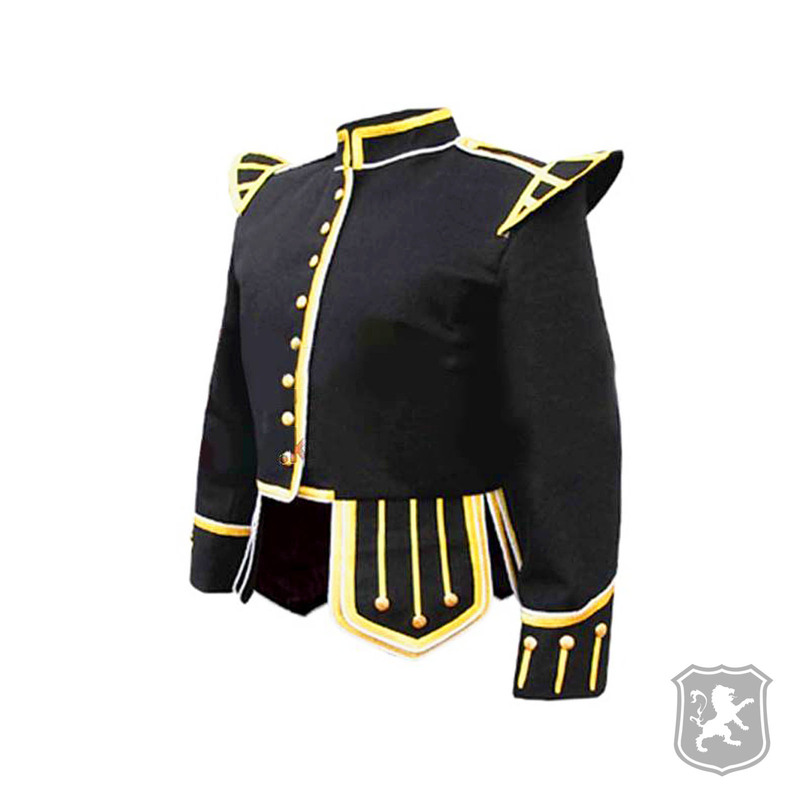 The Black Fancy Doublet Piper Jacket With Gold Trim is our latest addition to our Highland Jackets catalog. 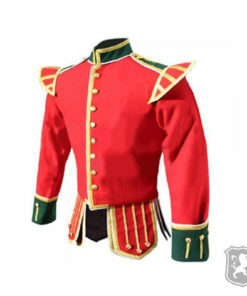 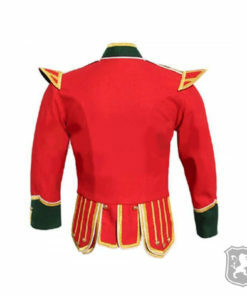 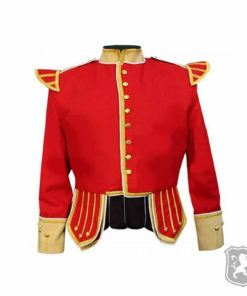 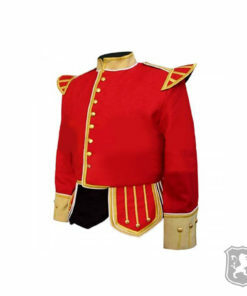 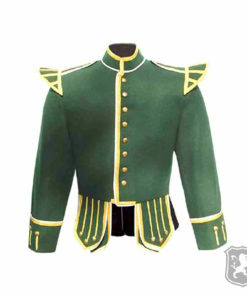 This jacket is specially designed for all kinds of drummers. 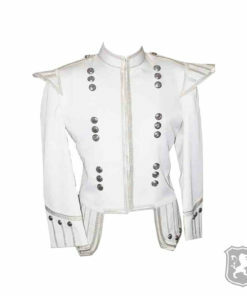 This is a custom made jacket which means you don’t have to worry about errors in measurements. 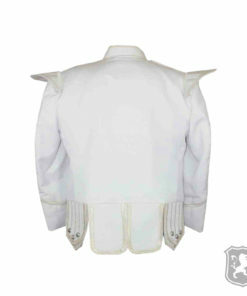 This jacket features Shoulder Shells with golden braiding that represents traditional scottish style. 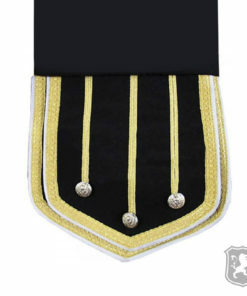 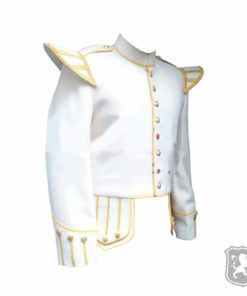 It also features golden braiding on the collars of the jacket that looks really amazing and stunning. 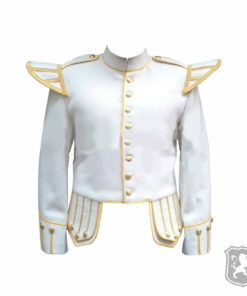 This jacket has button fastening made out of golden that goes perfect with the design of the jacket. 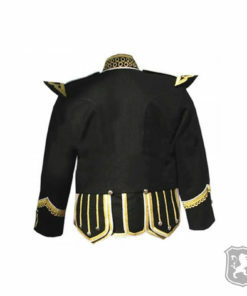 The jacket is fully customizable and it also includes the material used on the jacket. 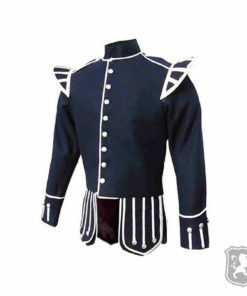 On the front of the jacket, you will see that it has an awesome and fancy design. 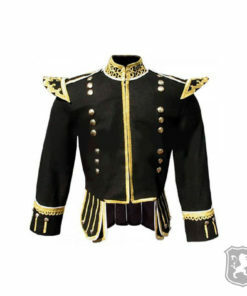 It features golden button fastening and has golden lining which goes amazing with the overall look of this jacket. 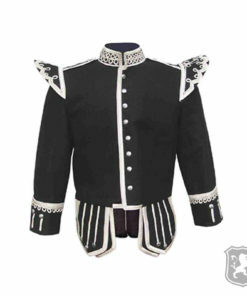 This jacket also features two padding attached on the helm which has three decorative vertical lines and decorative buttons that represents the traditional scottish design. 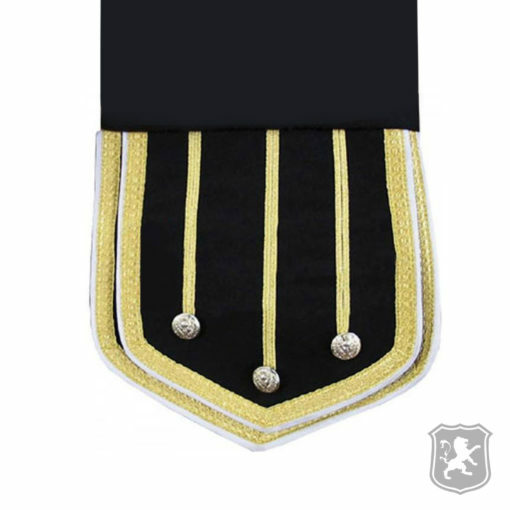 The golden braided collar is approximately two inches high; however, it is customizable as per the choice of our customers. 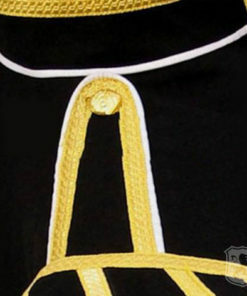 Both shoulders are padded and have braided straps embedded on them. 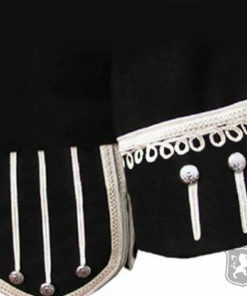 The cuffs of this jacket has round decorative golden braiding and decorative buttons that goes well with the overall design of this jacket.